Phrasal verbs are an important part of English. 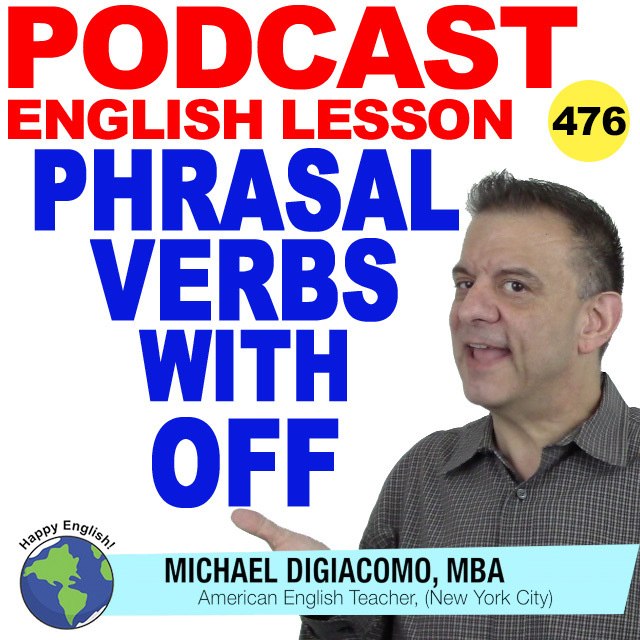 As I’ve mentioned before, native English speakers prefer using phrasal verbs, and learning these will always help to make your English sound more natural. For today’s English lesson, we are going to look at 8 phrasal verbs that use the preposition off. Let’s check them out. After the storm, a tree blocked off the road near my house. Because of the bank robbery, the police blocked off the entrance to the bank. A guy wearing a big hat sat in front of me at the baseball game and a blocked off my view. We called off the golf game because of rain. The boss had to fly to Texas, so we called off the meeting. Jenny called off her birthday party because she caught a cold. I dozed off on the train last night and missed my station. I nodded off during the CEOs speech. It was too long. I dozed off in the middle of the movie because it was boring. This coffee gives off a very nice aroma. These new light bulbs give off a very soft light. They are perfect for the bedroom. Jack was giving off a very strange vibe at the meeting today. He doesn’t seem to be himself. Every time I cook fish the smoke alarm goes off. The check engine light in my car went off this morning. I need to have the car serviced. My alarm clock goes off at 6 AM every morning. We are going to kick off the meeting at 9 o’clock sharp so don’t be late. The party kicked off around 8 PM last night and continued way past midnight. What time does the race kick off tomorrow? The boy was sent to his room because he was mouthing off to his parents. Joe got arrested because he was mouthing off to a police officer when he was drunk. If you mouth off to the boss you going to get fired. I paid six dollars for a bottle of water at the baseball stadium. They ripped me off! That restaurant is a rip off. They charge $40 just for pasta. The street vendor tried to rip me off so I didn’t buy anything.